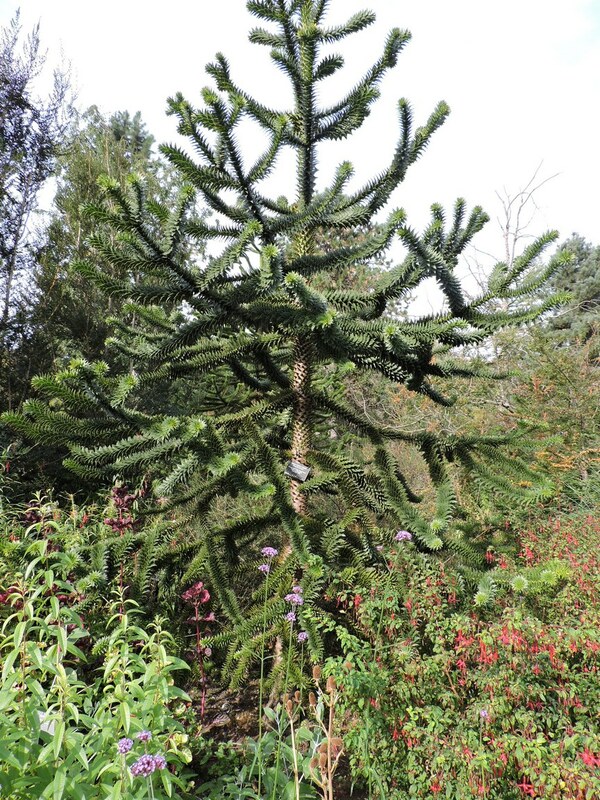 Toured VanDusen Botanical Garden, in Vancouver, then drove to Deception Pass State Park, near Oak Harbor, WA. Dinner at a Japanese steak house in Burlington, WA and that made me sick. 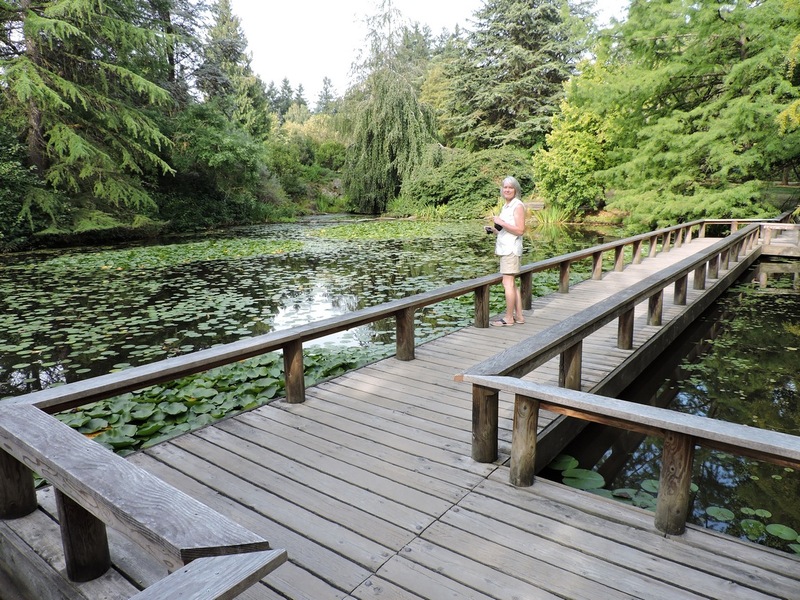 Connie as we crossed the pond at VanDuen Botanical Garden. We spent a couple of hours hiking in the gardens. 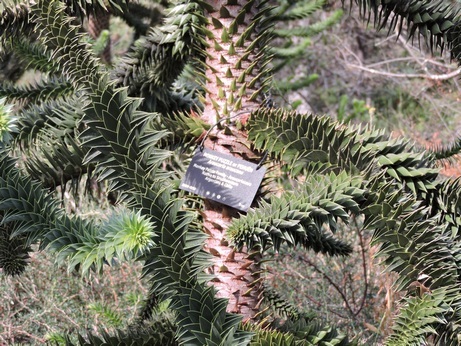 Monkey Puzzle tree. Never saw anything like it. See the close up of the branches on the right. 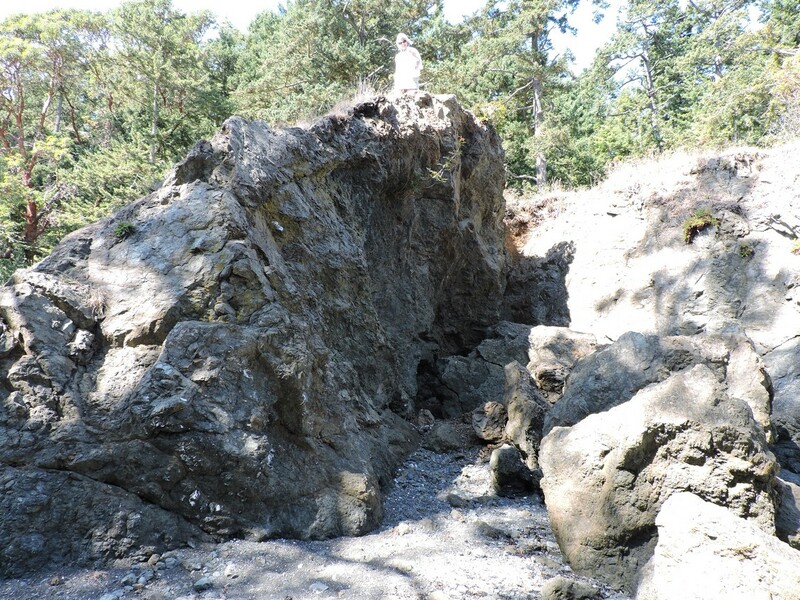 This is not a great photo, but we hiked about a mile to get here and there were two steep hills up and down. It was more of a hike than either of us thought we'd make, but we just kept going and eventually got there. The photo of the bridge below, was taken from this point. 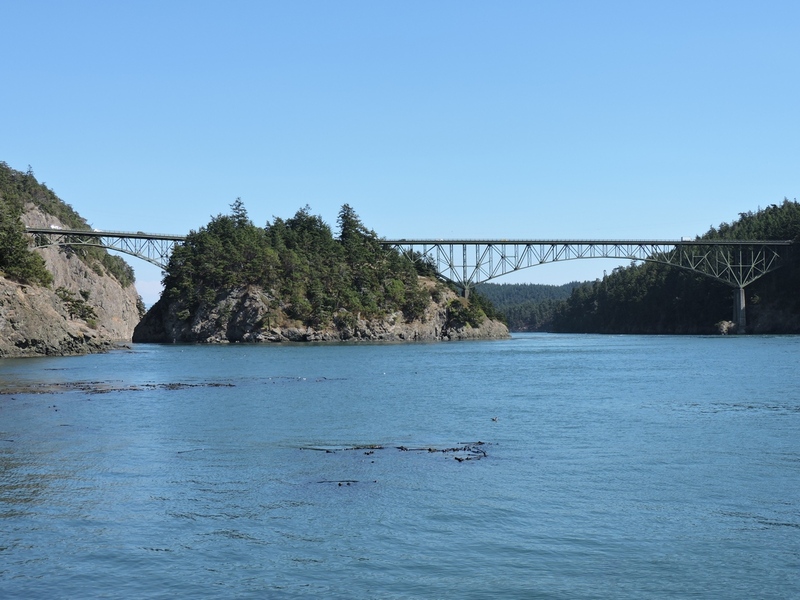 This is the bridge at Deception Pass. Photo taken from Lighthouse Point. And by the way, there is no lighthouse at Lighthouse Point. I guess it would just make a good location for a lighthouse. Connie was all ramped up to see the lighthouse, but I warned her while we were hiking that there might not be one. 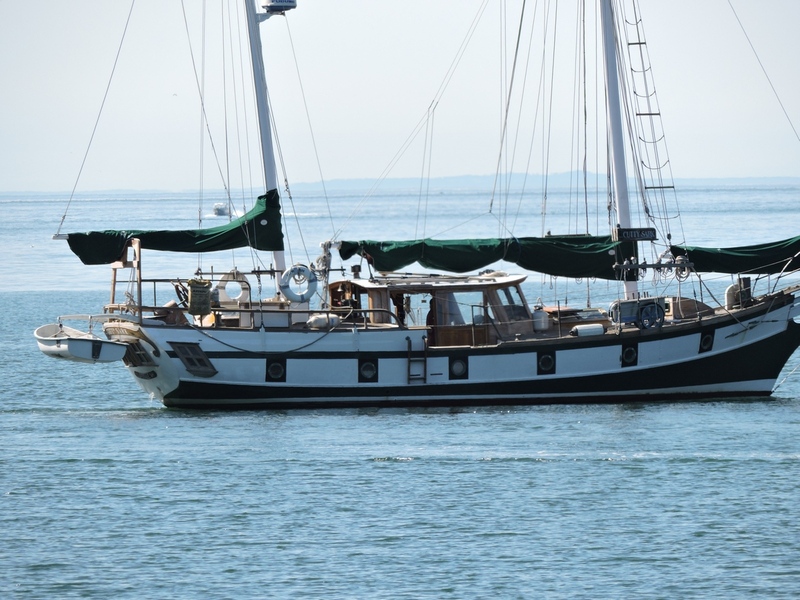 This boat was in the bay when we walked back from Lighthouse Point. It caught my eye because of the paint around the port holes makes it look like a man-o-war... ready to fire 6 cannons broadside. It was only when I was able to look at the photo up close that I noticed the name - Cutty Sark.